The Litvak SIG is for members of the JGSGB with roots in present day Lithuania, Latvia and Estonia. The goals of the JGSGB Litvak Special Interest Group are to exchange information among our members, to share available resources, and to help each other advance our personal genealogical research. The procedures of the JGSGB Litvak SIG will be determined by its members. Members will choose how often to have meetings and the locations of the meetings. Members may want to establish a forum for communicating among themselves. Members may choose to present their research and success stories at JGSGB meetings or at the annual international conferences on Jewish Genealogy. 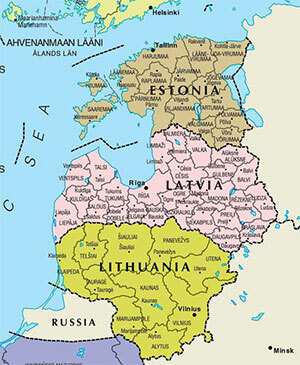 The group may choose to establish a repository of historical information that includes links to helpful resources such as websites, articles, books, images, videos, audio files, and current Baltic research projects. Volunteers are encouraged to contribute their time and expertise by leading or sponsoring meetings. If you are interested in joining the local JGSGB Litvak SIG, please email Litvak SIG.